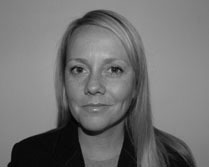 15 years experience specialising in Sales, Communication, Customer Service, Leadership and Performance Management. Sarah’s career started in the Sports Industry where she trained in fitness management quickly progressing to management level. In the late 90’s Sarah moved into the recruitment industry successfully running commercial and banking desks developing and growing them in an extremely competitive market. Progressing her career Sarah was then promoted to Business Development Manager where she built business relationships with all prospect clients developing long and short-term strategies and marketing plans to ensure conversion. Alongside her work Sarah continued to build her professional qualifications including the Training Accreditation Programme Certificate in Training Delivery and moved into a training consultancy role within a large recruitment organisation. This included re-aligning all training materials due to a company merger, designing and monitoring return on investment processes, training needs analysis and monitoring effectiveness of training in line with company objectives. Sarah researched, designed, launched and evaluated a large UK and Irish company induction, improving process and business change. In mid 2000 Sarah moved to work for a global leading provider of continuing professional development based in London with over 32,000 customers worldwide. As Learning and Development Consultant she delivers bespoke Management Development and Sales training to a range of commercial industries, where she continues to research new concepts to ensure every course she delivers has the WOW factor and ensuring the learners objectives are exceeded. Sarah remains champion for the Sales portfolio ensuring cutting edge theories and best practices are shared with clients. In 2007 Sarah set up her own Consultancy business which has been successful in supporting organisations through tough markets using innovation and common sense, the design and development of continual monitoring processes to ensure clients receive full return on investment. Delivery to clients includes unique and innovative training concepts to maximise the learning experience. Sarah's drive to make a difference and love of training has ensured she is an expert in her field. Sarah enjoys spending time with her husband, two sons, friends and family. She has always been keen on sports and development including swimming and in 2012 she achieved her ASA, STA pre-schooler and Lifeguard qualifications launched her own swim-school for families and individuals to progress their swimming journey.